Wrapchic is the world’s very first eatery that wraps together all the exciting and vibrant flavours of Indian street food, into an easy to eat grab “n” go format. 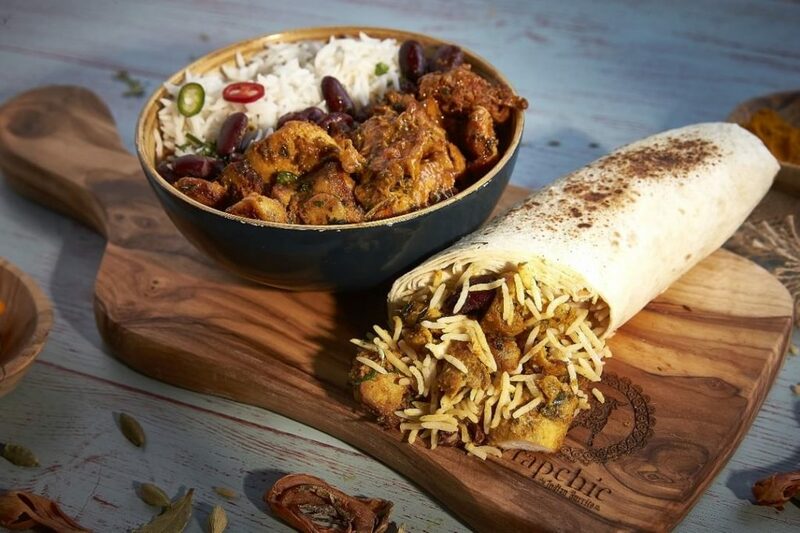 Wrapchic go to every length to follow tradition and ensure their food is packed full of flavour. Wrapchic only use the best ingredients and always use freshly ground spices. Their authentic Indian food is available to eat in or takeaway and is made to enjoy at any time of the day. Wrapchic also serve hot and cold drinks and have a delicious range of snacks and desserts – all of which are developed with a tasty Wrapchic twist.